Tom Hooper, Putting Words To 'The King's Speech' In 1936, George VI reluctantly ascended to the British throne after his older brother abdicated. Tom Hooper's new film, The King's Speech, tells the true story of George VI's stammer and his relationship with an unconventional speech therapist who helped him speak. In The King's Speech, Colin Firth plays King George VI, who was adored by his subjects for refusing to leave London during World War II bombing raids. He also suffered from a terrible stammer and hated speaking in public. In 1925, Albert, Duke of York, began seeing a speech therapist to correct his pronounced speech impediment. Eleven years later, he reluctantly ascended to the British throne as King George VI, after his older brother Edward VIII abdicated to marry the American Wallis Simpson. As the king, George VI was expected to frequently address his nation, both in person and on the radio. During these public speaking engagements, he continued to rely heavily on his speech therapist, Australian Lionel Logue, to make sure he didn't stammer. 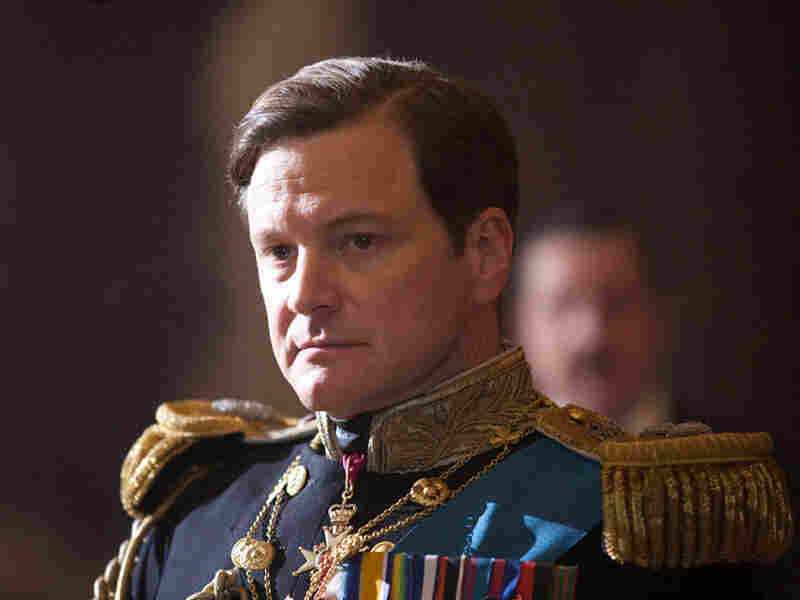 King George VI's relationship with Logue is at the heart of director Tom Hooper's historical drama, The King's Speech. The film stars Colin Firth as King George VI and Geoffrey Rush as Logue, who developed his somewhat unorthodox way of treating speech impediments while treating shell-shocked soldiers in the years following World War I. "He basically taught himself through trial and error speech therapy and developed techniques in order to help these men," says Hooper. "Our film suggests that what he felt was that these young men had lost faith in their voice and he was giving them the right to be heard again — to talk about their trauma and to find their voice again." Hooper tells Fresh Air's Dave Davies that Logue's therapy techniques included asking his subjects personal questions about their childhoods and about traumatic moments in their lives, to see if there was a psychological reason for their stammers. King George VI, who was often neglected by his nannies and rarely saw his parents, worked with Logue on techniques to regain his own voice. 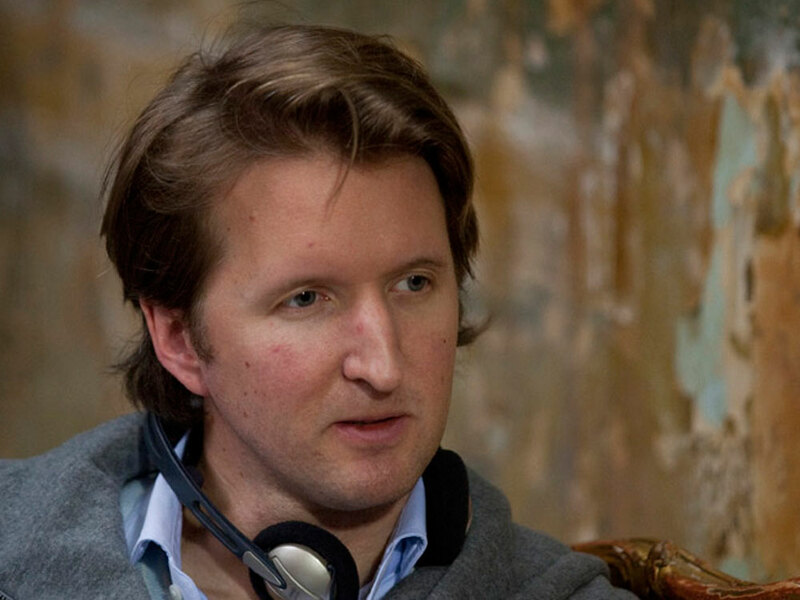 Tom Hooper directed BBC costume drama before making his feature film debut in 2004, when he directed Hilary Swank in Red Dust. "What I learned about stammering was that, when as a young child you lose the confidence of anyone who wants to listen to you, you lose confidence in your voice and the right to speech," says Hooper. "And a lot of the therapy was saying, 'You have a right to be heard.' "
Hooper explains that for the film, both he and Firth watched hours of archival footage of King George, to develop the character. "We watched a speech given in 1938 where the newsreel people cut from a close-up [of the king] to spectators in the crowd," says Hooper. "Whenever they come back in this profile close to the king, you just can see in his eyes — he just wants to get it right. That's all he wants to achieve. But he keeps getting caught in these horrible, painful silences in which he drowns and gathers his thoughts in silence. Colin and I both saw this and were extremely moved." Hooper received Emmy Awards for Outstanding Directing for the HBO miniseries John Adams and Elizabeth I. His other films include Damned United and Red Dust.